Fallout 4 can be a brutal game, starting by the background story and ending on the death animations. Killing and getting killed can be very detailed and quite gruesome at times. 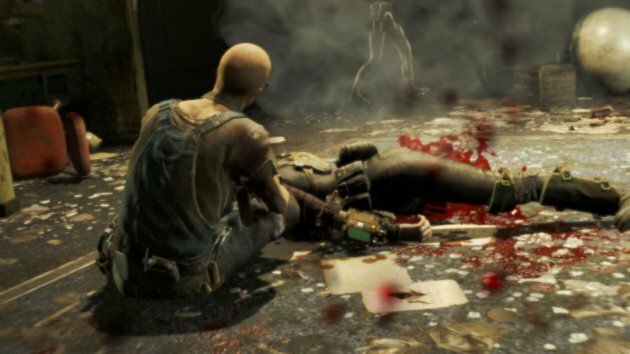 Here’s a compilation of some of the best death types in-game. 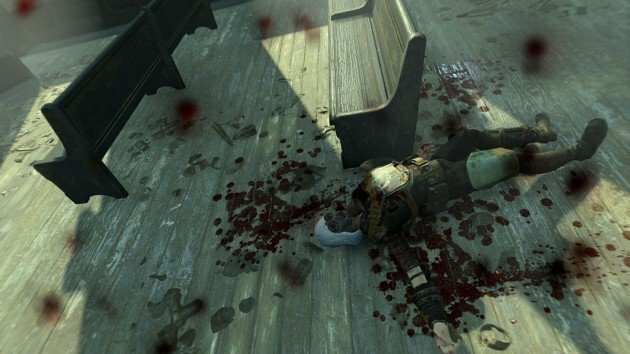 Dying is a familiar thing in Fallout 4, at least for most players. It’s so so easy to get killed no matter the circumstances. 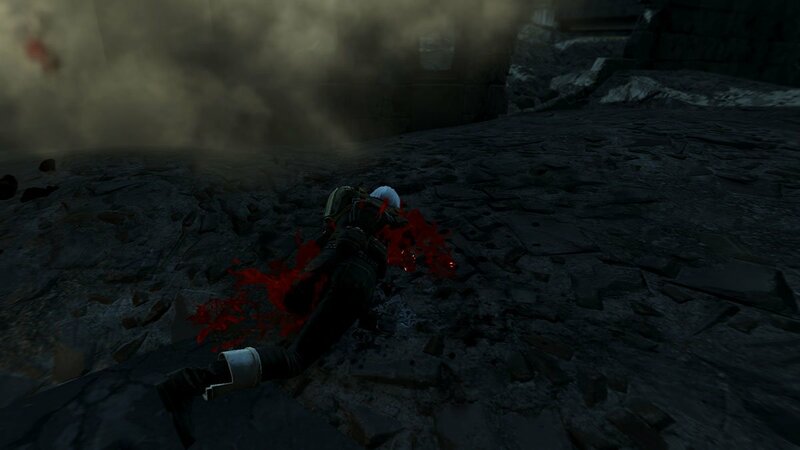 Either because you got ambushed by many enemies or because you stepped on a ground mine or… because you didn’t think that boss would be as strong… Anyway, dying is a very crucial part of this game and it can be very brutal, depending on the way you die. 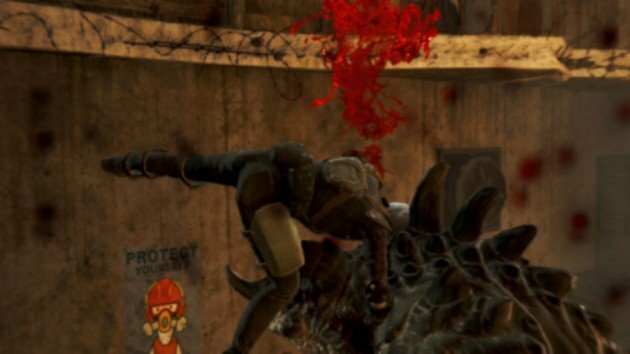 Here’s some of the best shots I got during my Fallout 4 journey. Power Armors protect you from most physical damage but that doesn’t mean you’re safe. In fact, you can die several times before any of your armor parts breaks. It’s agonizing seeing your character falling and your suit breaking into pieces… At least it’s realistic. The most common death in any video game. You simply bleed out, too many shots, too many injuries and too much bleeding. Boom, you’re done for the time. 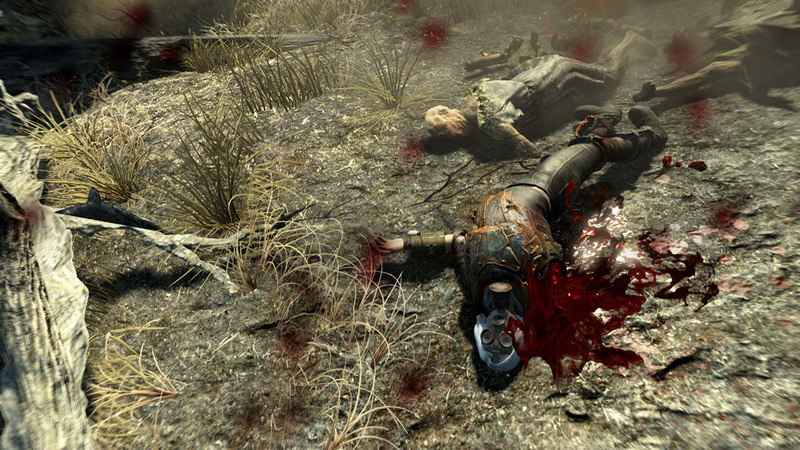 Before dying like this, you’ll notice the large amount of blood in the environment around you. As if being shot is not enough, you can also crush your head in Fallout 4. 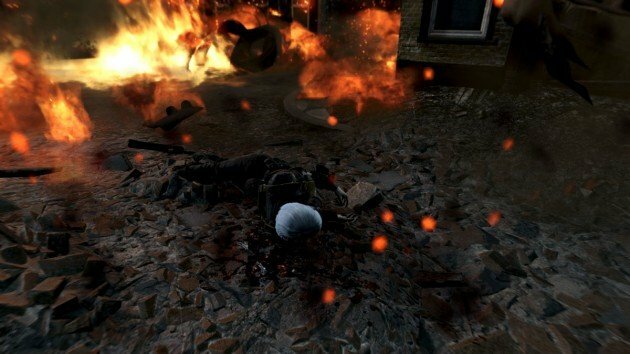 All it takes is a little explosion strong enough to kill you, then you’ll crush your head while hitting the floor and that’s it. Kinda. Are you wondering if your companion is faithful to you? Well, try dying and watch him dying next to you as well. Then, you’ll get your answer. It’s a bit cute, specially because I spent half the game trying to romance him. You know Deacon boy, the one who can’t be romanced. 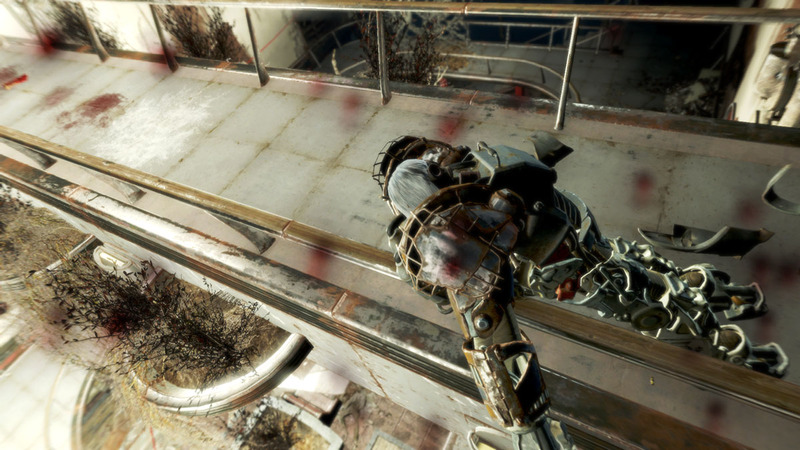 Losing an arm in Fallout 4 is quite common. But I am not really sure why. In almost every death, one of my arms would fall off and I wonder how can simple gunshots tear off an arm. However, in this case, it’s legit – ghouls took it off, of course! This particular death is fascinating on its own. 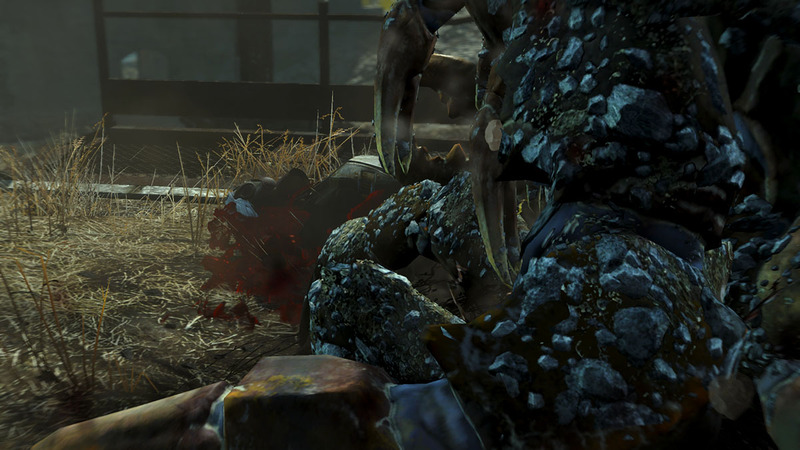 I mean getting a limb off is bad enough but being knocked up by a Deathclaw and dying in the process. That’s priceless and rare. Oh, and the remark here is absolutely fascinating… “Protect Yourself”. Hmm, yeah right. Talking about losing limbs… You can lose more than once at a time. Yep. I actually lost both my legs once but sadly I didn’t screen-shot it but here’s a fine replacement. One of each – one leg, one arm. Brutal death detected. One of the most shocking deaths for me was losing my head. I mean, it’s just pure macabre right? Watching your body fall down and blood spilling everywhere from your neck. And worse, you can see your head rolling around in some occasions too. And the most surprising death scene was exactly this one. 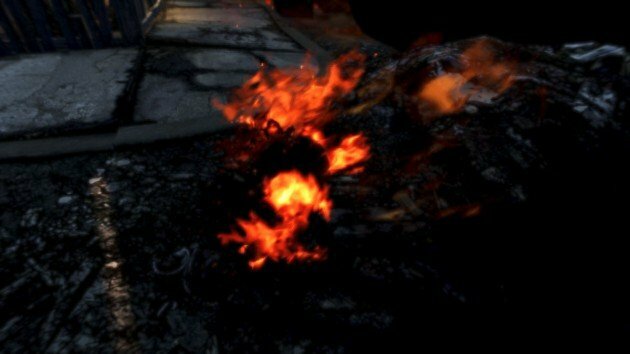 After a big explosion, the whole place went on fire, including my death body and it became like that. Ashes to ashes, dust to dust. My body was nothing more than a huge piece of carbonized meat. Disturbing. My top pick for this list is the brutal death scene by a giant bug. I was clearly already dead, the thing teared off my limbs and then it still stabs me in the belly to make sure I was well dead. Who knows, maybe i could come back to life and take revenge. Better safe than sorry. That’s all. 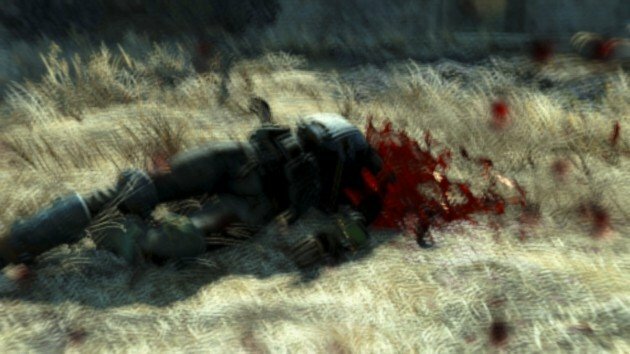 I hope you enjoyed this compilation of brutal and macabre death scenes from Fallout 4. Stay tuned for more original content here at VgamerZ. Previous articleFallout 4 Lone Wanderer: Is It Better to Play without a Companion?